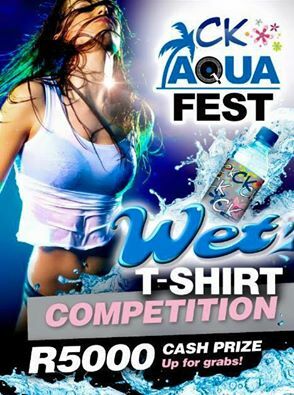 Something for the Bikini Babes..
1.Upload a pic of yourself with a bikini top to our Aquafest Facebook page and get as many likes as you can. 2.The top 5 pictures with the most likes gets into our final round at Aquafest. 3.The winner gets to walk away with a cash prize of R2,500. 4.Runners up also get cash prizes. 5.Competition closes on Friday the 18th of December at 13h00.